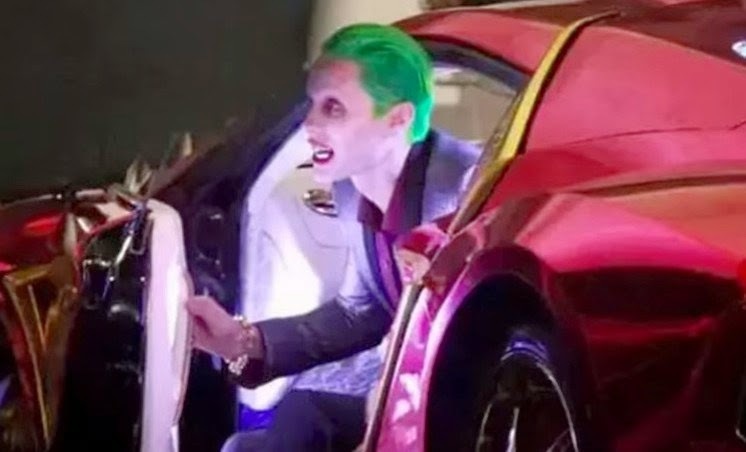 Brothascomics: Joker rollin' in his whip! Our friends over at USAToday have some exclusive video and pictures from the shooting of Suicide Squad. It looks like the Bat-Mobile did NOT lose its wheel but I am not sure if the Joker got away! Batman has to be in this movie somehow. There is NO WAY you can make a movie about villains without a hero! But will we see Batman? Is it BatFleck? Click the link to see the whole video! And FYI, the leaks on this movie make me think they are doing it on purpose to judge geek/nerd reaction to this whole thing! This has a leak a day and you cannot get word out on the Superman/Batman movie!